If you’re looking for a high tea with a flair for nostalgia, where the venue is rooted in Brisbane’s history - then look no further than the Shingle Inn at City Hall. The very first cafe was established on Edward Street in 1936 and was soon followed by a chain of cafes that swept the city. You’d be hard pressed to find a single shopping mall in Brisbane without this franchise as part of its centre. While the original cafe closed its doors in 2002, in 2010 the original interior of the Edward Street store found a new home within another Brisbane icon, City Hall. The dark timber interior of the beautifully decked out venue was warm and inviting on this particularly muggy and rainy day that the High Tea Society took afternoon tea at the venue. The staff, dressed in their traditional attire, were welcoming and it wasn’t long before the high tea was served. 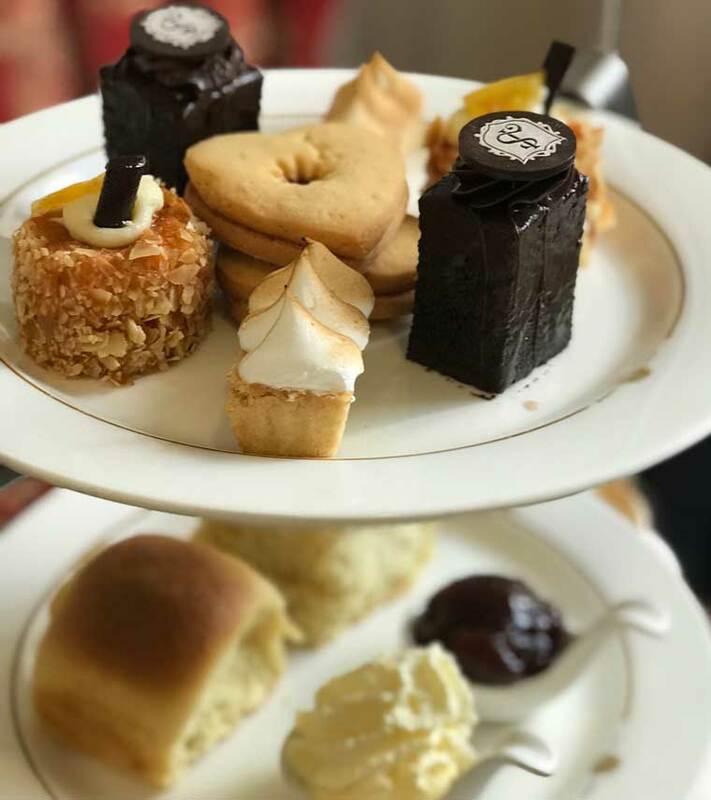 Our St Catherine High Tea, which was served on Australian Tasman Bone China, began with a selection of ribbon sandwiches. The selection of six was quite varied, with some of the highlights including the Tasmanian smoked salmon with rocket and fried caper, the chicken, walnut, apple and celery with tarragon mayonnaise and, my favourite, the camembert, pistachio and fig with ginger confit. With such a wide selection, my only criticism would be that it was impossible to try them all. 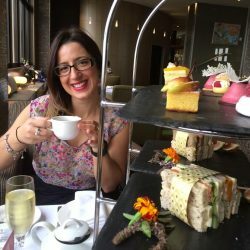 With a traditional high tea shared between two people, and six different sandwiches between you and your partner, how do you decide who tries what? Next we had the plain scones which were served with the traditional jam and cream. They were two of the biggest scones I had ever seen and were very fluffy and light and went down perfectly with our glass of Pol Roger Brut French Champagne. You could smell how beautiful the scones were before you tasted them with the sweetness hitting your lips before a single crumb. And finally, the final dessert tier, often the hero of any high tea where the pastry chef can truly shine. But unfortunately, in this instance, this is where the high tea faltered. It just didn’t jump off the plate. We were served a chocolate mud cake, an orange and almond cake, a lemon meringue pie and a sweet heart biscuit. 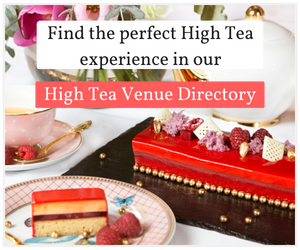 At $60 per person, a price that is up there with some of the finest high teas served at Brisbane’s five star hotels, it is clear that this high tea was mass produced and not created on site by a dedicated pastry chef. While still lovely, in its own right, I personally don’t believe the price is reflected in the attention to detail. As a bustling inner-city cafe, you also do not get the personalised and dedicated service that you would at other venues charging similar prices, or the creativity in the menu. Shingle Inn is a lovely venue to visit in a beautiful Brisbane building. 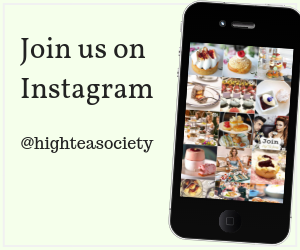 But if you’re looking for an exciting high tea experience that takes you on a journey and tells a story through the food and not just the venue, then I would suggest looking elsewhere. Overall, it was a pleasant experience in a welcoming environment.